Endomondo is a great free app designed forÂ individuals trying to stay active and receive as much information as humanly possible about their workouts. Which also keeps it fun, since you are always competing against yourself or friends along the way. The site also keeps you connected to their site where you can see even more information or make friends. The app is amazingly perfect. It times your workout, distance, average speed, calories and even tracks your route using GPS via a map. Let me tell you right now that this thing is dead on accurate! The setting allow you to switch the units from Miles to Kilometers, online tracking, even an audio coach and more. The Endomondo app does everything is says it does and more. It is a great workout tool and the perfect app to have on your WP7 device pertaining to fitness. Your personal trainer for running, cycling, walking and other sports. The app uses GPS to track your time, distance, speed, & calories in real-time while working out. You can get audio feedback for every mile or km and your friends can send you messages that are read aloud as peptalks a few seconds later. Set a distance goal and the audio coach will help you reach it. 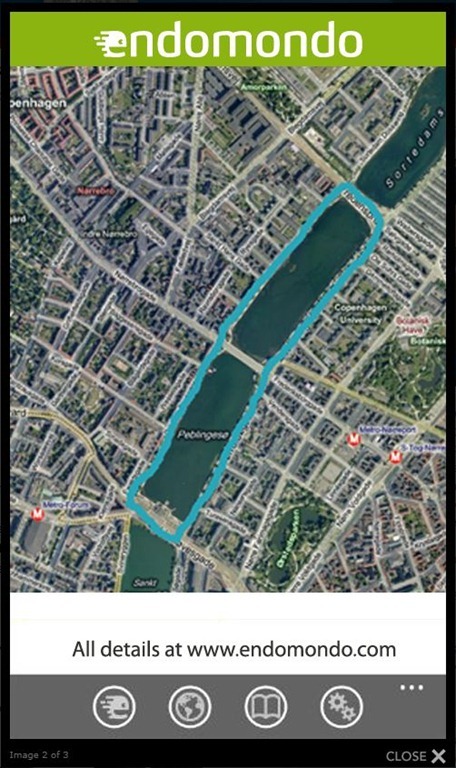 A map will show you the route and you have a full history of previous workouts and lap times. The auto-pause function will make sure we only count the time youâ€™re actually moving. 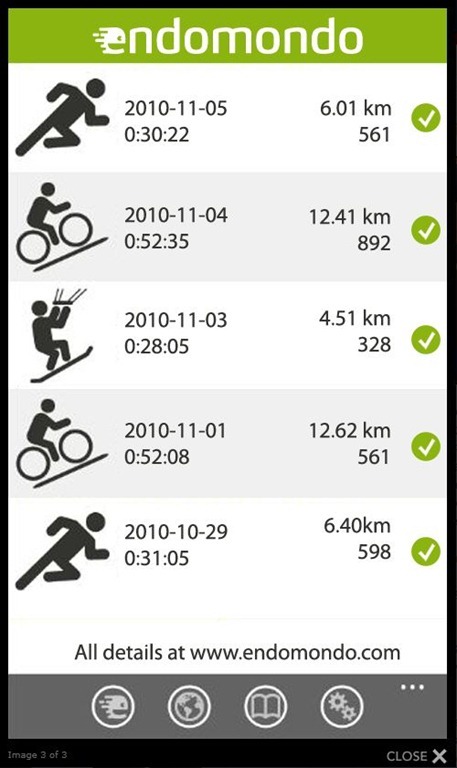 Go to Endomondo.com for analyses, to challenge your friends and share everything on Facebook and Twitter. Written by: Hyde13 on April 5, 2011. I’m also amazed by the endomondo site and their workout concept. The app is the best one in this category that I have yet tried on my HTC Mozart, but there is one great disappointment: the GPS tracking is far from accurate on my phone, I get an average of 10% deviation to the correct distance. I ran a route yesterday that is just above 7km which was measured to 8.4km by endomondo. Looking at the route it seems like I was a bit drunk while running….so where is the problem? 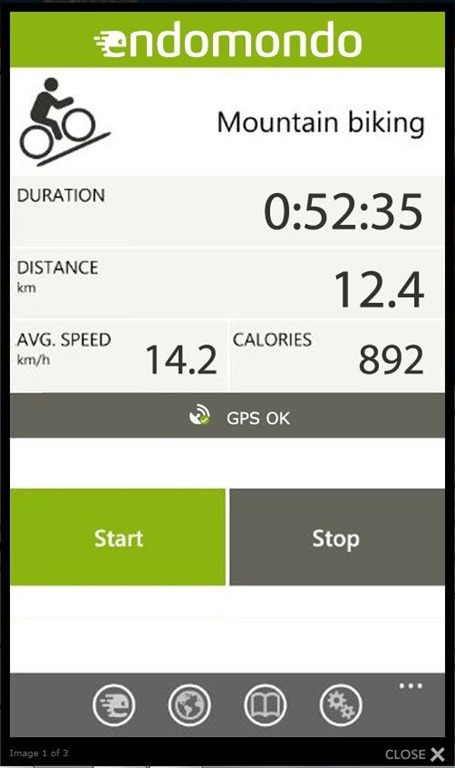 HTC Mozart, WP7 or the endomondo app? I think it is a bit of everything. That happened to me recently and I turned the GPS on and off in the app. It helped a lot in charting my route properly after that. And the only GPS configuration in WP7 is turning the Location services on and off. Sorry I replied on the go… Yeah that is what I meant. I turned off the location services then used the app a bit without the GPS on (which shuts off when you turn off the location services) then turn it on after a bit and see if that fixes the problem.